Does your sibling have a knack for doing pretty much everything better than you? Do you often hear how great your sister is at raising a family/running triathlons/conducting life saving research? Is your brother always celebrating promotions at work/accepting philanthropy awards/volunteering with puppies? Look no further than the Awkward Gift Guide for the perfect gift for your obnoxiously overachieving sibling! Bonus gifting ideas are marked in bold! DIY Braids Book by Sasha Coefield ($10): So she's pretty much good at everything? 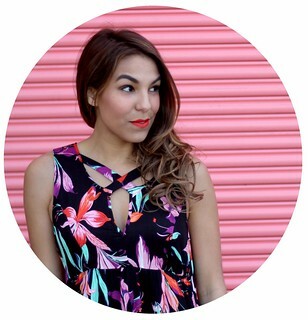 Let's see her master these 30+ braid styles as illustrated by video blogger Sasha Coefield. If she's a mom, this is a great book for her to share with her daughters. It also makes a great gift for tweens, sorority sisters, and DIYers! Tiffany Atlas Sterling Silver Bar Pendant ($200): She's chic, she's classy, she's a modern day Audrey Hepburn. This gorgeous sterling silver necklace from the new Tiffany Atlas collection will likely become her go to piece of jewelry (I know mine has!). Lululemon Carry Me Om Tote (similar, $148) : Somehow in between juggling projects at work, tutoring teens, and writing her first novel she still manages to go to the gym every day. This chic yet functional tote is the it bag for the gym bunny who doesn't waste a single hour of the day. While you're at Lululemon pick up their Loop It Up Mat Strap as a gift for your yoga partner, it also makes a great stocking stuffer for the yogi in your life! IT Cosmetics Micro-Airbrush Brush Set ($59.95): Her skin is already flawless but this 7 piece brush set from IT Cosmetics will leave her looking like her makeup was airbrushed to perfection and expertly applied. These brushes are made with 100% cruelty free synthetic hair making it a thoughtful gift for the animal lover or vegan gal pal! Moleskine Smart Notebook ($21): Is he crazy organized? Does he put your iCal to shame? Gift him this techie friendly smart notebook from Evernote and Moleskine.He'll keep his busy schedule in check and you'll be the ultimate gifter this holiday season. The Moleskine Smart Notebook makes a great gift for any techie, blogger, or OCD freak! Crosley Portable Turntable ($80): So he has an amazing record collection featuring the Beegees, Queen, and more but nothing to play it on on-the-go? This portable record player is perfect to amplify the classic sound of the Rolling Stones. A turntable makes a great gift for music lovers, hipsters, and teens! Beer Savers ($24.99): He is a beer connoisseur, brews his own pale ales at home, and knows more about hops than you can begin to imagine. He is the king of the Untapped app and can now save his 24 oz.brew for another day with Beer Savers! Silicone caps that save your beer from the deteriorating effects of oxygen; trust me he will love you for it. Perry Ellis Shoe Shine Kit ($29.99): He's a total boy scout-- An Eagle Scout in fact, so of course he shines his shoes to perfection every Friday morning. This Perry Ellis shoe shine kit is perfect for the man who loves to put his best foot forward- literally. This shoe shine kit makes a great kit for any shoe lover or high-style business man. 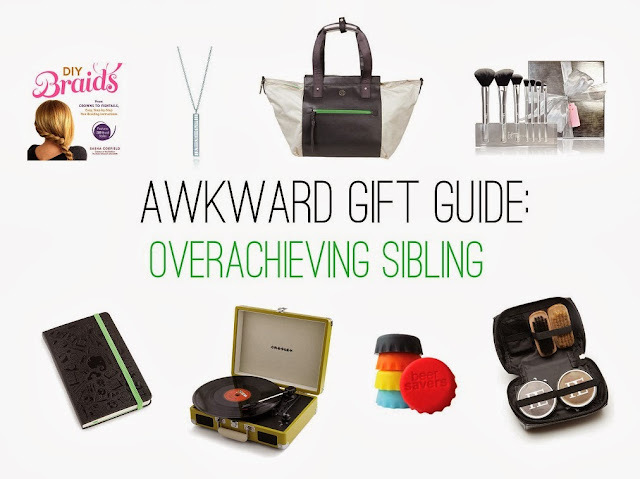 Which will you be gifting to your overachieving sibling this holiday season?